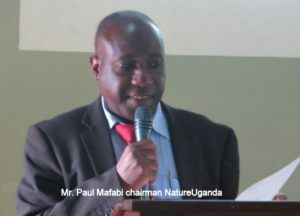 Paul Mafabi speaks at a past event. Courtesy photo. Uganda on Thursday hosted the 11th Community Based Approach to Climate Change (CBA11) conference with a call to the youth to champion the fight against climate change. The call was made by Mr Paul Mafabi the director of environment affairs at the Ministry of Water and Environment. The conference that took place at Hotel Africana in Kampala from June 26 to 29 focused on harnessing natural resources and ecosystems for adaptation. Mr Mafabi said the conference aimed at enhancing the ability of youth to build ecosystem resilience and finding ways to incorporate the ideas and innovations of youth in the policy framework on community-based adaptation to climate change. He also urged the youth to build stronger network and share their knowledge and ideas to combat climate change. 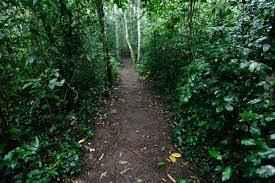 A section of Mabira Forest. Youth have been urged to preserve the environment. Courtesy photo. “Since climate change is mostly due to human activities your involvement as young people will be vital in combating it by acting as ambassadors in your communities against human activities that lead to climate change,” Mr Mafabi said. He asked them to engage in activities such as tree planting so as to reduce on gases being emitted to the environment. “I encourage you to form youth organisations so that you can easily be supported by the government in the fight against climate change,” Mr Mafabi added.